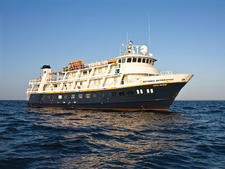 A true expedition vessel, National Geographic Islander sails the Galapagos Islands year-round. 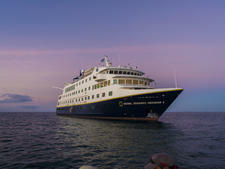 Originally built for the Caribbean, the ship has been sailing in the Galapagos for more than a decade. 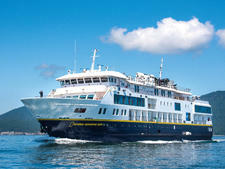 National Geographic Islander has only 24 cabins, all of which feature windows. Eight cabins, located on the ship's top deck, have glass-enclosed terraces. 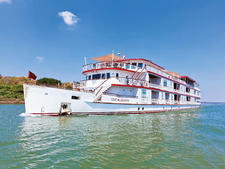 Each cabin also has two twin beds that can be combined to create a double or queen-sized bed. 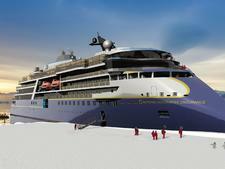 Two suites are available, and both offer wraparound views from the bow and sides of the ship. Wi-Fi access is available in all cabins. 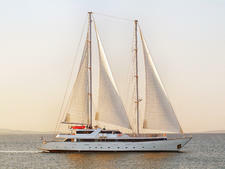 Sailings include dining (all meals are locally sourced and sustainable, when possible), presentations from naturalists and onboard experts, shore excursions, snorkeling equipment (including wetsuits) and access to kayaks. 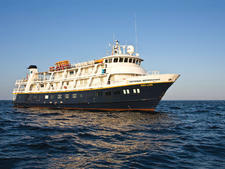 Shore tours often require the use of Zodiac boats for getting from the ship to shore. 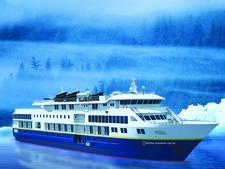 The ship features an open bridge, so passengers can visit the bridge and captain any time it won't interfere with the ship's safe navigation. It also has a small lounge where lectures take place as well as more social pursuits, like cocktail hours. 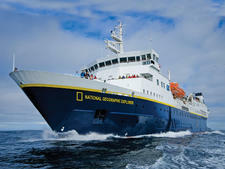 Passengers can spend time in National Geographic Islander's small library, which features a limited collection of books. Fitness onboard takes place in the ship's small fitness center, and an instructor leads daily top-deck stretching sessions. 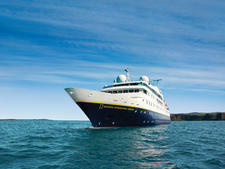 A spa onboard is available for treatments such as massage and facials. A desk adjacent to reception, called the global market, features products and crafts from local artisans, for purchase. Cruise Critic’s professional photographers and our extraordinary community members have taken 769 pictures of National Geographic Islander. When you visit our photo galleries, you can be assured that what you see is what you get.